News → News Stories → Polio vaccination, again? “It’s easy for the others, they are young and strong!” laughs Nadia. She has just climbed hundreds of steps to the top of a long and steep staircase on the side of one of Kabul’s many hills. Together with her colleagues Mansour and Shah Maqsoud she works as a part of a polio vaccination team who walk from house to house vaccinating children. Today, the team started at 8 am, and they have been walking up and down the hill for three hours already. No wonder she is tired. The group has visited 50 houses and vaccinated 110 children so far today. They have 30 more houses to visit, and in the next three days, they will visit a total of 233 homes. The team’s role is not only to vaccinate the children but to also to educate people about the life-saving polio vaccine and its importance. It is not always an easy job. 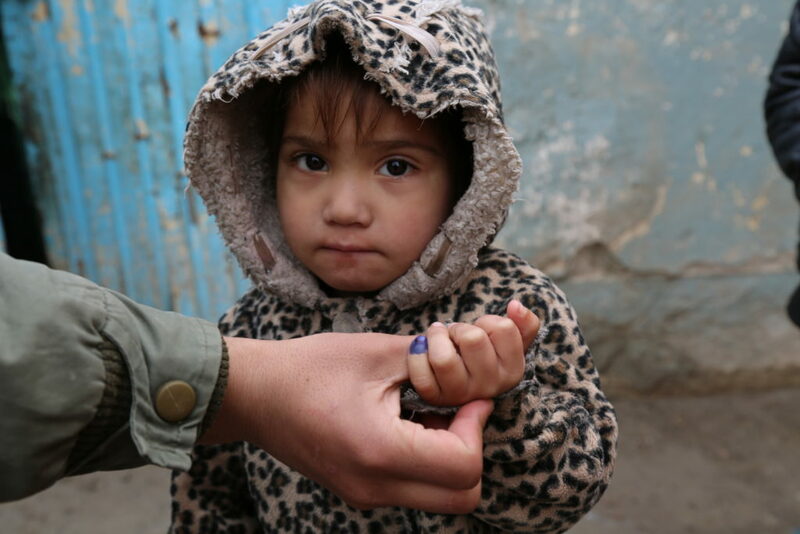 It is the first day of a vaccination campaign, which aims to immunize over 6 million children against polio in Afghanistan. Today, thankfully, all families have accepted the vaccine from this team. 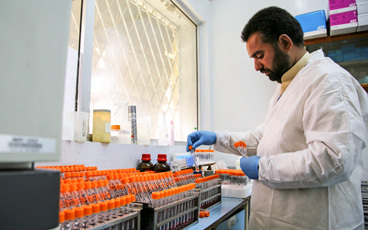 Afghanistan is one of the last areas in the world where wild poliovirus still circulates, and has the highest number of children paralyzed by the virus. In 2017, there were altogether 14 cases and so far in 2018, there have been three confirmed cases. In recent months, the virus has been found circulating in southern and eastern regions. 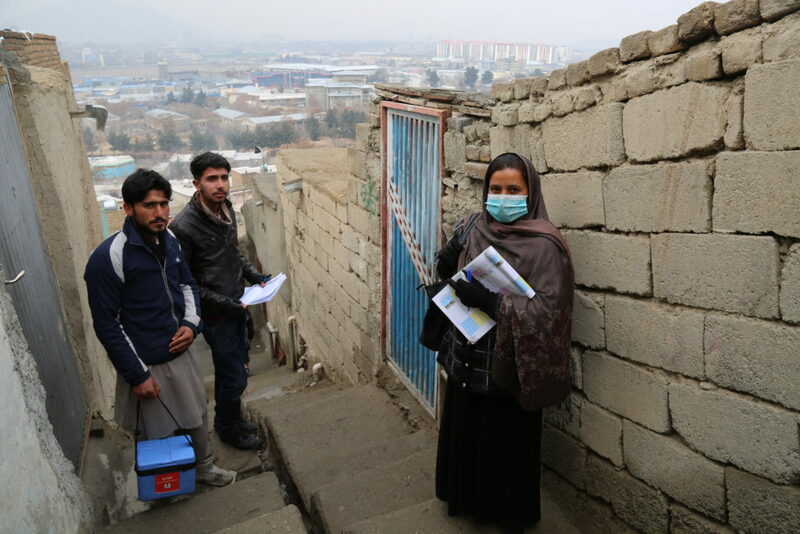 WHO Afghanistan polio programme manager Dr Hemant Shukla is confident that with stepped-up efforts, the circulation can be stopped. “Afghanistan has stopped transmission in the past in all areas, but not at the same time. We are confident that by following correct strategies, focusing in the right areas and by coordinating our efforts with neighbouring Pakistan, we can stop the transmission”. To answer to the challenge, the polio eradication initiative has stepped up efforts to detect any viruses in the environment. 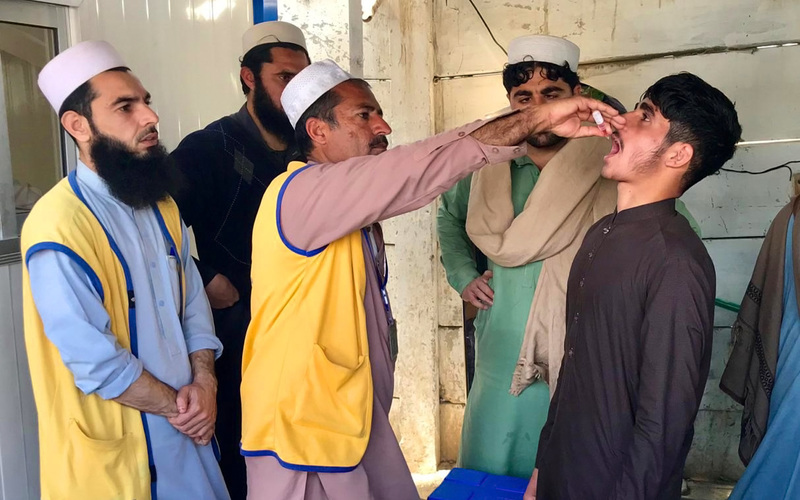 The programme is taking special steps in the eastern and southern regions to reach all children with the vaccine every time the vaccinators pass by, as these are very high risk areas for polio transmission, with people moving in and out of neighbouring Pakistan. 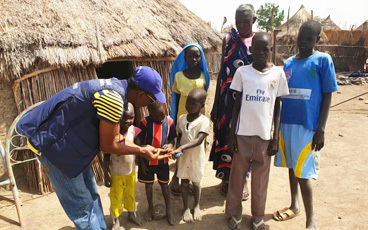 Special outreach tactics are concurrently aiming to reach and immunize ‘mobile populations’, such as nomadic people, who are at high risk of contracting polio. 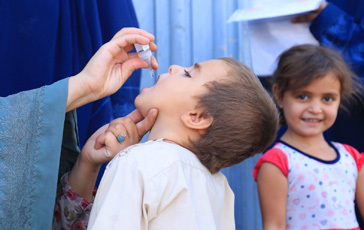 The oral polio vaccine is effective as it not only protects the children from contracting the virus, but also prevents them from carrying the virus in their intestines. Several doses need to be given spaced apart to build sufficient immunity, especially in areas where poor nutrition can weaken immune systems. 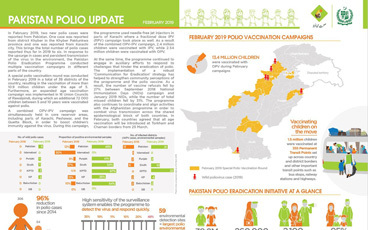 During the low transmission season, the polio eradication initiative decided to conduct two campaigns to vaccinate children in the high risk and very high risk districts in quick succession in January and February, so that the vaccine would have a maximum effect. In March, 10 million children across the whole country will be vaccinated – that’s every single child under the age of five years. In Kabul, the campaign is still ongoing. One by one the team marks their tally sheet with numbers and ages of the children and takes note whether all the children of the household were present. One of the children vaccinated today is three-year-old Yusef, who stands outside his family’s home. His mother Pari peeks through the gate. She has six children, and Yusef is her youngest. “Yousef was just vaccinated two weeks ago, but I know it is important to vaccinate children every time”. The team marks this household vaccinated for now. In four weeks, Pari will open up her door when the vaccinators knock again.